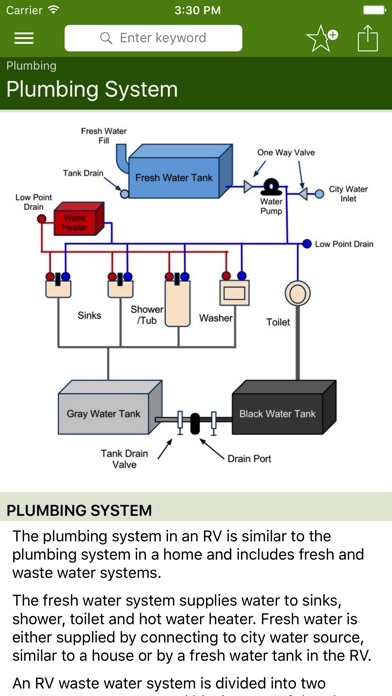 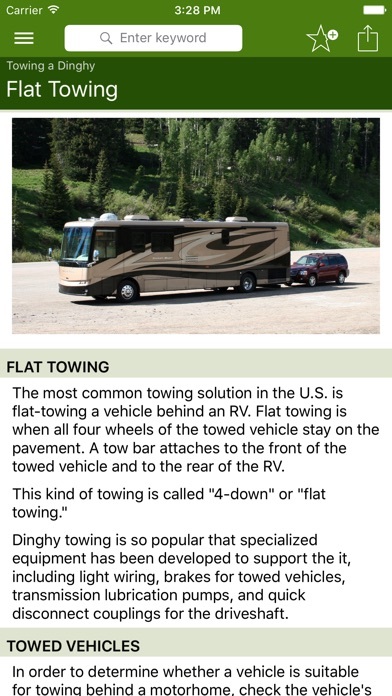 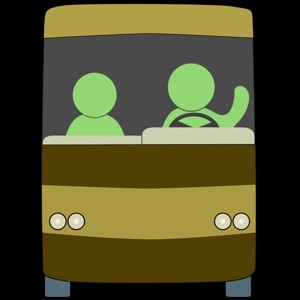 A wide variety of information about RVs and their systems including diagrams and images to show you how things work and what they look like. 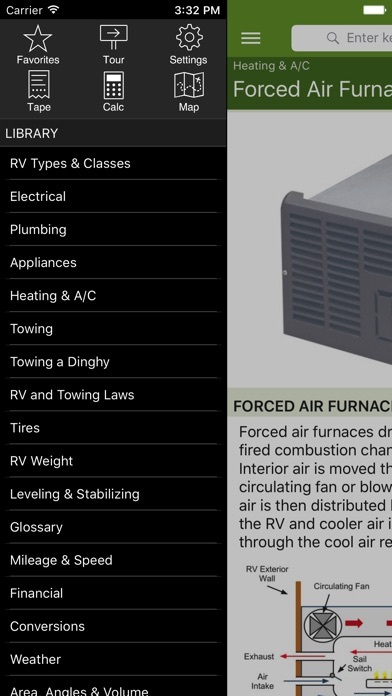 RV Pocket Reference also includes calculators that let you quickly and easily solve a variety of calculations. 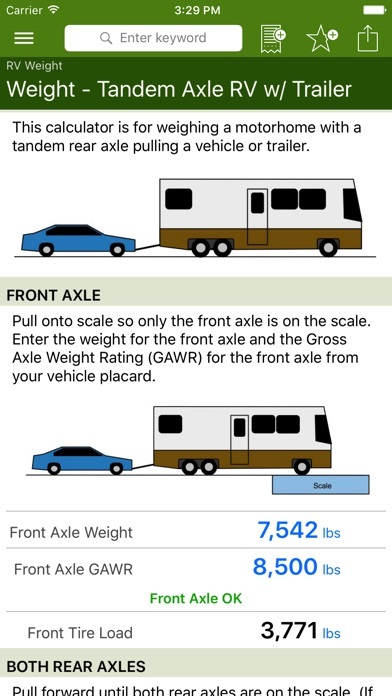 Content includes: + RV Types & Classes + Electrical Systems + Plumbing Systems + Appliances + Heating & Air Conditioning Systems + Trailer Hitches, Brakes & Wiring + Towing a Dinghy + RV and Towing Laws + Tires + RV Weight + Leveling & Stabilizing + Glossary Calculators: + Cargo Carrying Capacity + Tongue Weight + 6 Mileage and Speed Calculators + 16 Area, Angles & Volume Calculators + 20 Conversion Calculators + 2 Financial Calculators + 7 Weather Calculators More content and calculators coming soon in free updates! 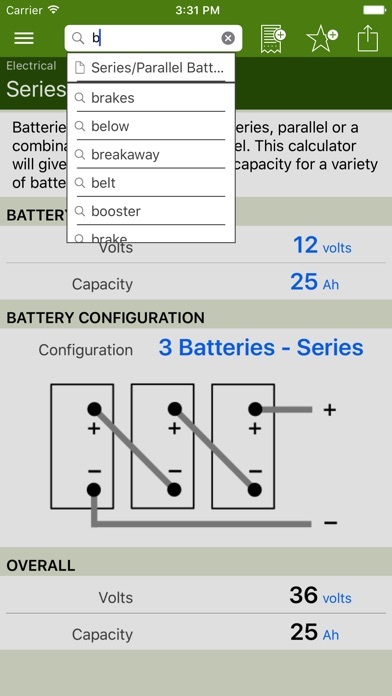 If there is content or a calculator you'd like to see added, visit our website and send us an email.